Bitcoin ATM maker Diamond Circle has announced it will launch a bitcoin debit card this week at the Bitcoin 2014 Conference in Amsterdam, in conjunction with its UK distributor Swiftbitz. 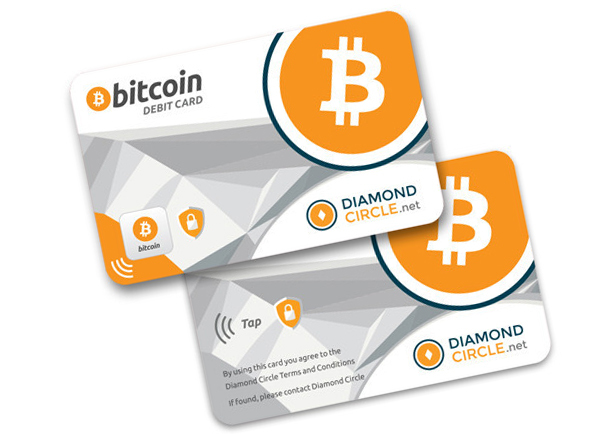 Diamond Circle claims the card will only work with its own two-way, cashless bitcoin ATM, its forthcoming merchant point-of-sale (POS) solution and via its online exchange. This is a contrast to other bitcoin debit cards tied to established card payment networks like UnionPay, which can be accepted in a majority of outlets without the merchant possessing any bitcoin-specific technology. The debit cards utilize contactless near-field communication (NFC) technology and will be issued via Diamond Circle’s ATM operators, retail merchants, independent distributors and on the company’s website. Furthermore, the cards will be linked to the user’s wallet and may hold up to nine fiat currencies as well as bitcoin. The bitcoin exchange rate incurred with transactions will be based on prevailing market rates at the time of use, the company says. Diamond Circle, which based in Australia, is currently developing a range of devices that promote easy access and secure storage for bitcoin users. This includes the ATM machines mentioned previously, POS card/wallet readers for merchants, and a variety of bitcoin hardware wallets in the form of NFC discs and cellphone ‘stickers’. While it may seem disadvantageous to produce a debit card that cannot be used over mainstream payments systems, with the right infrastructure Diamond Circle could have a hand in all major aspects of the bitcoin economy: purchasing, spending, sending and selling. The ATM was launched in March, with the company saying it had created one of bitcoin’s holy grails – a cashless ATM that allows bitcoins to be purchased using a credit card, and sold via a direct deposit to users’ bank accounts. Unlike competing ATMs and vending machines that rely on QR codes and cash, Diamond Circle’s solution is based on NFC technology with paper receipt backups. Anti-money laundering (AML) and ‘know your customer’ procedures can be set up as required by the local regulatory environment. The company’s partner Swiftbitz has been recently created to take over UK distribution of the ATM, which costs $16,000 (around £9,300 or €11,100). European distribution should follow soon. 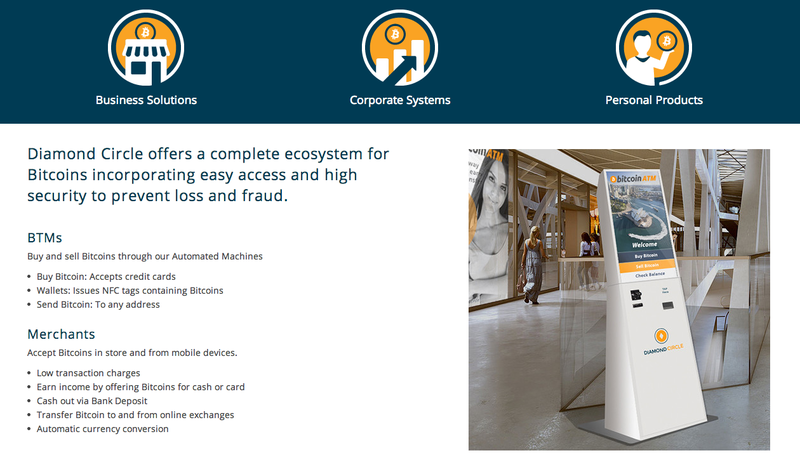 Diamond Circle’s debit card is to be launched at the Bitcoin 2014 Conference, which takes place 15th-17th May in the Dutch capital.